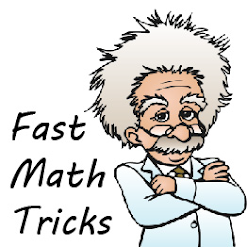 the radius of the circle will be equal to the radius of the curve, called the curvature radius. 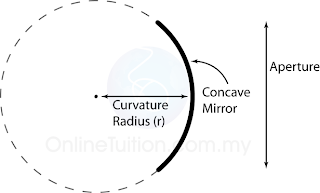 Centre of curvature, C The geometric centre of a hollow sphere of which the concave or convex mirror is a part. 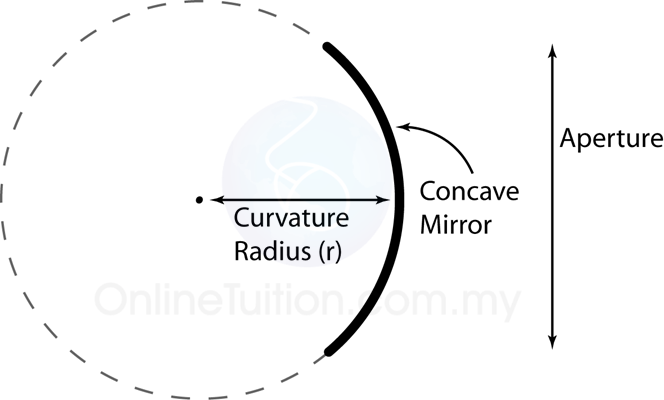 Pole of mirror, P The centre point on the curved mirror. 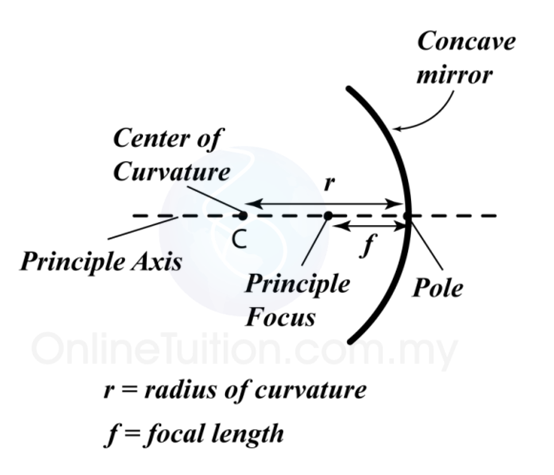 Principal axis A line which passes through the centre of curvature, C and the pole of a curved mirror, P.
Radius of curvature, r Distance between the pole, P and the centre of curvature, C.
Principal focus, F A point through which all rays travelling parallel to the principal axis converge to or appear to diverge from after reflection by the mirror. 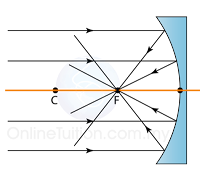 Aperture of mirror The portion of the surface of the mirror that reflects light. Object distance, u Distance of object from the pole of the mirror, P.